Are you a woman looking for a college scholarship or grant? 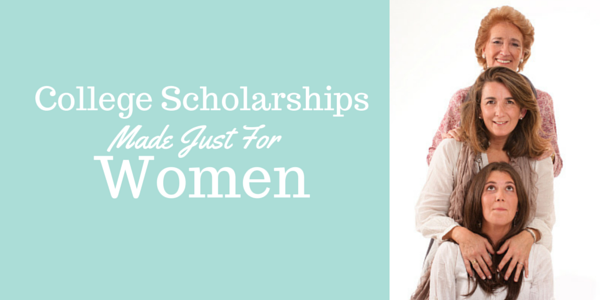 There are several scholarships that are only available to females. You just took out half of your “competition” and that is a great start to seeking money for college. Students who are looking for ways to fund an undergraduate or graduate education often seek out scholarships and grants. Most often, the terms “scholarship” and “grant” are used to refer to the same thing. Grants are offered for more than just education, while scholarships most often specifically refer to undergraduate or graduate education. The amount of the awards vary depending on the program or opportunity that you are applying for. The benefit of scholarships and grants is that they do not have to be paid back as long as the funds are used for the awarded purpose. But what does me being a woman have to do with getting a scholarship? Many organizations and businesses award grants and scholarships to specific demographic groups in an effort to promote and enhance the opportunities of an underrepresented minority or other group in education. According to most reports, women are often at some disadvantage in comparison to other groups, particularly financially. Women, for example, make only 77 cents on the dollar in comparison to men, and the majority of single parent households are headed by women. Scholarships and grants that are awarded to women are intended to provide women with the resources to overcome these disadvantages and pursue an undergraduate or graduate degree, certificate program, or vocational training. There are many federal agencies that provide grants for women, including the Departments of Agriculture, Commerce, Defense, Education, Energy, Health and Human Services, and the Environmental Protection Agency. The National Science Foundation and National Endowment for the Arts also award grants. In addition to federal grants, state and local grants are also available for women. Employees of companies and organizations, along with their families, are also sources to look into for educational funding. Businesses and agencies often have private scholarships that are given to employees, family, and sponsors of employees. Some organizations and professional associations offer scholarships and grants to women who are looking to enter a similar field. Requirements for grant and scholarships applications vary, and applicants should carefully review what qualifications and submission materials are needed. 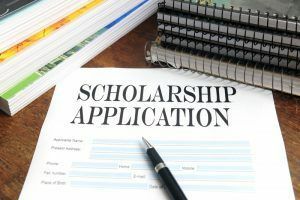 Many scholarship and grant applications require the submission of an essay, for example, which is designed to gauge the applicant’s interest and purpose in pursuing a career in a specific field or reasons for attending a higher learning institution. Letters of recommendation are common requirements, and applicants for scholarships for continuing education with at least one year of school already completed will also submit transcripts. Women graduating from high school and directly entering postsecondary education will also typically submit high school transcripts. Many scholarships are also offered for women pursuing a specific course of study, such as nursing or technology. 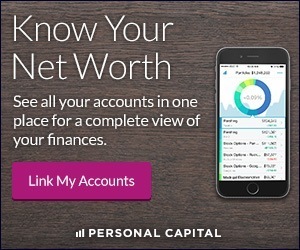 Additionally, financial need and motherhood are often requirements for some awards, and proof of income and assets is typically required. There are thousands of possible grants and scholarships for women looking to further their educations. Some examples representing the various types of scholarships and grants that are available to women are listed below with eligibility requirements and award amounts when applicable. For additional information on receiving these awards, an excellent resource is through the financial aid office at a current or prospective institution. These grants are given by the IFUW and affiliates in order to allow women to return to school and reach their academic goals, and it is designed to help women gain access to education in order to develop leadership skills and abilities to bring back to the community. The amount of the grant varies. Unfortunately, there are still areas within this country where minorities are constantly overlooked. This is especially true for minority women. The Business and Professional Women’s Association considers the financial needs of these students as well. This organization provides funds for non-traditional women who wish to advance their career. 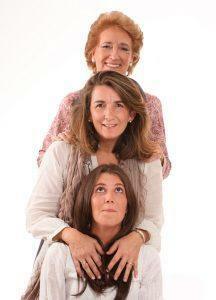 Non-traditional refers to women with certain responsibilities or circumstances, such as single mothers. Overall, they have awarded over $6 million to nearly 8,000 women in financial need. Qualified students should apply before April 15 in order to meet their deadline. At PEO, women can discover the path to financial opportunities to those in financial need. The P.E.O Loan Fund offers loans up to the amount of $10,000 for undergraduate studies and graduate studies, increasing that amount to $20,000 for qualifying women in pursuit of a doctorate. This loan must be repaid within six years of completion of a degree. However, it is offered at a low interest rate of three percent and will definitely ease the blow of college expenses. Awarded by Google in amounts between $1,000 and $10,000, this scholarship is designated for women who are pursuing careers in technology and computers, and also for those who are leaders and role models within their communities. Since areas of computer science and computer engineering are often dominated by men, you can only imagine that as a woman your competition for this scholarship will be not as impacted as some other scholarships. The American Association of University Women is a common choice among women in need of funding for college. This group is dedicated to the advancement of under-privileged women, including minorities. The AAUW provides grants for those pursuing a degree in necessary, but overlooked careers, such as teaching and science. One example of their financial opportunities is the coveted Selected Professions Fellowship. This grant presents selected candidates with funds ranging from $5,000 to $20,000. At Emerge, women have the opportunity to earn award money after obstacles in life have forced them to take a detour from completing their education. Devotion to others is a pre-requisite as well, recognizing women who are an integral part of their community as they donate their time and service. In order to qualify, women must already be enrolled in a program. They must be at least 25 years old. They will be expected to complete an application form, include letters of recommendation, and write an essay. Their financial status, goals, life circumstances, and community involvement will be taken into consideration. Scholarships are awarded in the amount of $5000. Two of these scholarships for $1,000 are offered each year for women pursuing an undergraduate degree and who are members of the Romanian Orthodox Episcopate of America. There are additional requirements for this scholarship, including completion of one year of undergraduate education before applying. Talk about a niche scholarship. If you are a woman who is a member of this faith, then this is a great opportunity to win some extra money for college. This scholarship offers multiple women who are accepted or enrolled in either a two-year or a four-year college or university up to $2,500. Candidates for consideration will major in an information technology program or a related field. The essay portion of the application requires women to detail what types of possible solutions they would like to implement for information technology problems. A variety of factors are considered, from academic achievement to community service and activities. For low-income women who are 35 years old and over, the Jeannette Rankin Foundation offers scholarships for women working toward a technical or vocational associate’s degree or their first bachelor’s degree. This is a wonderful opportunity for not only a woman, but a female that is older than 35. Again, many scholarship opportunities are very niche and this increases your changes of actually security the grant or scholarship. The Technical Women’s Organization awards five scholarships each year; four of these scholarships are given to Federal Aviation Administration employees or family members, and one is given to a sponsored recipient who is not an FAA employee or family. The scholarship is intended to assist a woman looking to advance education in a technical-related discipline. For women who are getting started, continuing, or going back to school in order to further their educations, there are many opportunities and possibilities for help to achieve every dream that starts with a college degree or career training. By pursuing these scholarships for women, that by being a female knocks out half of your competition, you have a good chance to secure the money you need for a college education.